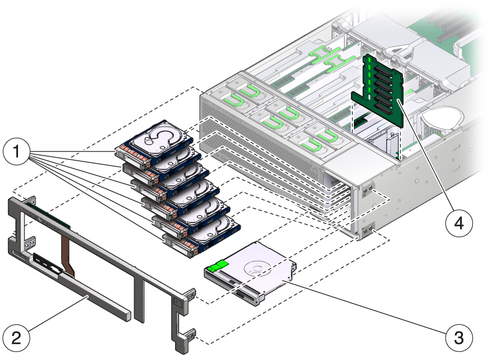 The following figure illustrates replaceable components that support I/O functions. Must be removed to service the drive backplane. Metal light pipe bracket is not a FRU.